Do you ever wonder why so many high-profile people are always ‘detoxing’? Or why there are so many ‘detox diets’, ‘reboots’ , ‘restarts’ and ‘cleanses’? Me too. In fact, some of the most prominent special-diet experts in popular categories such as paleo / primal / raw / flexitarian / etc. seem to detox — or promote detox cleanses— a lot. But why? Is all that detoxing really necessary? Are their any downsides to constant detox? Doesn’t a nice clean diet lead to natural detox anyway? I’ve grappled with these questions myself, and am frequently asked about them as well. In this article, I’ll explore some of the common conceptions — and misconceptions — about detox cleanses, then offer some practical tips for maintaining a constant state of ‘healthy detox’ throughout your life. What exactly is a detox cleanse anyway? A detox cleanse is an intensive, focused, time-limited, structured program designed to rid the body of toxins and waste. Some detox programs may stop there; others may continue past the cleansing phase and help rebuild the body’s natural defense, transport, and healing mechanisms. Detox cleanses are also known by various other terms such as ‘reboots’ and ‘resets’. From a commercial perspective, there are a dizzying array of detox programs, reboots, and resets out there. Liver cleanses, skin flushes, bowel cleanses, disease/illness-specific cleanses, and others. There are also different levels of cleanses: extreme, mild, medium; and different durations: 3-day, 7-day, 10-day, 21-day, 30-day, etc. But before going on, I really need to emphasize that a ‘detox cleanse’ is a specifically focused program, with a set amount of time, and a set type of foods/beverages/supplements. What is removed during a detox cleanse / ‘reboot’ / ‘reset’? What happens during an intensive detox cleanse or program? I’d really love to provide a blanket answer here, but the real answer is “it depends”. The type of program you’re on (mild, moderate, intensive, full calorie or calorie restricted, juice-to-food ratio, type and quantity of supplements and herbs used in the program). What you’re trying to detox (everything, liver-focus, bowel focused, metals-focused). The length of your chosen detox program. Where your body is coming from (highly overweight, moderately overweight, older, younger, where and how you live, how and what you typically eat). Your overall mindset (attitude about the program), how closely you follow the program, the quality of the program, etc. A lot to consider, yes? And other light-to-moderate symptoms, depending on the person. I should emphasize that some people experience only a few symptoms, and some people don’t experience any. It really all depends. If you’re brand new to detox and coming from a standard diet (processed foods, restaurants, baked goods, etc.) then you are more likely to experience some of the symptoms above. One thing to be aware of is the possibility of negative emotions or past experiences coming to the surface. This usually occurs in longer and more aggressive detox cleanses (over two weeks). Negative things in life can sometimes be tied to colon matter and blockages. It can be a bit uncomfortable while these things are going through the flush cycle. But when they’re out — it can be like the sky has lifted in your life! Some might say the disadvantages are all listed in the previous section. But from my perspective, these symptoms are actually good and important. Detox symptoms are your body’s way of telling you there is a lot of stuff to take care of, and that the detox is doing its job. Detox cleanses can build a “free diet pass” mindset. Just like the “take a pill, and make everything better” mindset. Binge eating? Just go on a detox. Too much alcohol and/or drugs? Detox cleanse to the rescue. Eating a lot of fried/commercial/frozen/restaurant foods? Right — detox again to the rescue. Need to suddenly drop a few pounds for that next movie role? You guessed it…more detox. Powerful incentives, yes? These reasons — and many others — are why so many people tout detox cleanse programs. Is a detox cleanse really necessary? If so, then how often? My answer may surprise — even stun you.. But my answer is “no”…. You have a set goal in mind. You have a definite plan for the time after your goal is reached. You plan to use the detox cleanse as a big step to a permanent, or at least semi-permanent life change. You do it carefully and moderately, while monitoring yourself closely. A return to the way things ‘used to be’ (you can see this first-hand watching some really big names in juicing, who have to constantly ‘reboot’ or ‘reset’). Getting sick, bloated, old and tired-looking, and frustrated. Additional stress on the body — and it can be significant stress, of the purge/binge program. A constant repeat of the detox cycle to achieve healthy ‘invincible’ feeling. Look, I’m not picking on anyone who cleanses or ‘resets’ multiple times. I’ve ‘reset’ a couple of times myself. Why not just strive to stay on a nutritional path which brings detox cleanse benefits all the time, but without the bodily stress? To put a finer point on the answer, my recommendation is no more than one full detox cleanse every 2 – 3 years. Maximum. What is the best approach / way to detox? Overall, most body types prefer consistency. Consistent eating, drinking, nutrients, enzymes, anti-oxidants, fiber levels, vitamins, minerals, and all the rest. Heavy bad eating/drinking AND constant detox are opposite sides of the coin — BOTH add stress to the body. 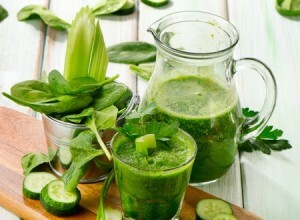 All the elation and ‘youthening’ benefits of detox cleanses are great! Absolutely. BUT, the amazing post-cleanse benefits must become a routine part of life. Consider this: do you really want to just feel like superman/woman for a while, only to be start sliding the other side of the slope? I know I don’t (and have in the past), and bet you don’t either. Start with set goals and a long-term approach. Commit to a ‘journey mindset’, and realize that great fitness/youthfulness/healing is a longer-term goal requiring consistency and habit. Then, find one new habit (or update an existing one), and work it into your daily routine. For a discussion of recommended habits and high-performance tools, check out the free 7 KEYS Program. Add at least one new healthy habit per week and continue the process for 90 – 120 days. After the initial 90 – 120 day period, pick a low to medium stress detox cleanse if you feel you need it. Depending on how well you’ve done adding new healthy habits, you just may find you really don’t need a separate stressful detox. You’ll already feel more youthful, vibrant and alive all the time, rather than living for that brief ‘post-detox-glow’ period. Consider supplementing with clean magnesium sources (vegetables / natural powders, etc.) to keep the bowels flowing regularly. Consider adding enemas or annual monthly colonics to your regimen. I know, I know — many folks, especially doctors — don’t like to talk about enemas anymore. (Even though they’ve been accepted medicine for millennia.) But, if you can bring yourself to try it (and for the record, it took me YEARS to get up the nerve to try it…), the benefits will truly help you reach that next level. Doing those few things can achieve great things in your life. Just be patient and consistent. Yes, an annual quick detox cleanse each after a party-filled holiday season can get you those fast, short-term results. But they’ll stress your body and won’t last. In my experience, the consistent approach always wins the day. Ok, you’re read this far and have decided you still want to start an intensive detox cleans. But which one? Raw, fresh, mostly-vegetable juice based. A body-friendly detox cleanse will be heavy on the raw, organic, natural juices. In my view, the best overall programs are 75% – 100% juice based. Look for plans that mix dark greens (kale, dandelion, etc. 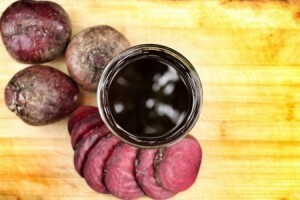 with strong detox roots and herbs such as ginger and beet). Magnesium, chlorella, and other natural minerals and flushing mechanisms. Magnesium and chlorella are great in that they both nutrify, and naturally detoxify at the same time. A wonderful combination to add to any detox cleanse. The better cleanses will either include these as separate items, or include them as vegetable nutrients in the juices. Think hydration, hydration, and hydration. In addition to whatever juices and supplements your program provides, drink lots of mineralized water (see the free [7 Keys Program] for more information on mineralized water). Remember that during detox, your body will be flushing a lot of the bad, but some of the good minerals and electrolytes and minerals as well. I recommend doubling your water intake during the cleansing period. Juice is great, but you still need good clean water besides. Avoid expensive and exotic supplement packet cleanses. Straight up — natural cleanses do not need exotic supplements. Let me repeat: natural, body-friendly cleanses do not need exotic herbs and supplements. It’s OK to eat a little, but keep it clean. People new to detox cleanses may starve themselves, or join a program that recommends zero food. Yes, there are some major benefits to liquid-only cleanses, if the body is really ready for that. But most bodies are not, unless they have prepared as we talked about in the “best ways to detox” section. By clean, I mean deep-green-colored vegetables, clean algae/seeweeds (wakame, dulse, etc.) and maybe a little bit of low-sugar fruit. Avoid meat, fish, and dairy during the cleanse. Recently, I saw one very high-end, big celebrity detox program recommending fish during the program. Fish — or any meat product — taxes the body, and can potentially add in additional toxins. Remember that we’re focusing on cleansing and detoxing here. Plus, your body will be working hard — really hard — during the cleanse. Ideally, you want to avoid all fats, toxins, and inflammatory agents. Consider additional colonic and/or enema support, whether or not it is spelled out in your chosen detox cleanse. Here is a major reality of detox cleanses that many don’t want to hear (or are too skittish to share with you): your skin is your largest eliminative organ. Guess what happens when years and years of toxins are suddenly stirred up in the body? Yep — they need somewhere to go. Where do they go? Well, some will naturally go out in bowel movements. And, some will go out through the skin. Will everything exit cleanly at the same rate that the detox is giving them to you? NO. A good detox cleanse program that is really doing its job, will work hard and vigorously to push the sludge/gunk/toxins out of your body. Also consider adding some sauna time to your detox cleanse. In-home infrared saunas are popular now, but any regular sauna will do. Since the skin is your body’s largest eliminative organ, why not help it along? Detoxing through skin, bowels, and urine, coupled with massive hydration, can make the detox experience much easier. Emphasis on probiotics. Probiotics are all the rage and the topic for another article. Ideally, your chosen detox cleanse contains clean probiotic sources, such as coconut kefir, probiotic liquids, or easy-to-digest capsules. These help mitigate the intensive effects of detox cleanses, while making them more effective with waste and nutrient processing. Availability of support groups or forums. Detoxing can be an intense experience, especially for someone new to the idea. During those tough times, it’s really comforting to have a physical or virtual support group to turn to. Many popular cleanses now include some type of online support option such as Facebook groups, forums, email, or phone-in support. This article just scratches the surface of the ongoing detox debate. My goal with this article is to give you a few things to consider, and points for further research. Proceed at your own pace, and please don’t be in any major rush to jump into a detox cleanse. The only exception may be if you have a serious and immediate health/medical/disease condition. If so, consult your medical practitioner, and always keep in mind that it’s your body, and you DO have a choice as to how it will be cared for, and WHO will care for it. I’ll also cover the topic in greater depth in my upcoming book and future articles. For more information on healthy, high-performance habits and tools, please visit: https://corbinlinks.com/7keys. Here’s to your health, life, business, and productivity! Previous Post Product Launches and Joint Ventures — Three Perspectives, One Launch, Many Lessons Next Post How Do You Know What’s Going On?